We are happy to report that last night’s lecture with Amy Grimm was absolutely wonderful and inspiring for all who attended! Amy gave a lot of great advice for students who are looking to go into the Interactive Design field on how to prepare for both the program and a career later down the line. She talked about how imperative the meeting and melding of function and aesthetics are in our society and how this truly drives the idea of interactive design altogether. Everyone who attended praised Amy for her good insight and interesting discussion of her time at the University of Washington. Also, we are getting very close to our art show, which is coming right up on the 25th (Thursday)! The studio is packed to the brim with work from all of the classes and the seniors have been here all week working to make sure that everything is just right for their showcases. Don’t forget that a great deal of their work will be for sale, with all proceeds going directly to their college funds! This art show is a wonderful chance to help these students reach the goals that they have worked so hard on accomplishing, so don’t miss out! We can’t wait to see you there, Thursday the 25th from 6:00-8:30 pm at the Duvall Visitor and Centennial Center! 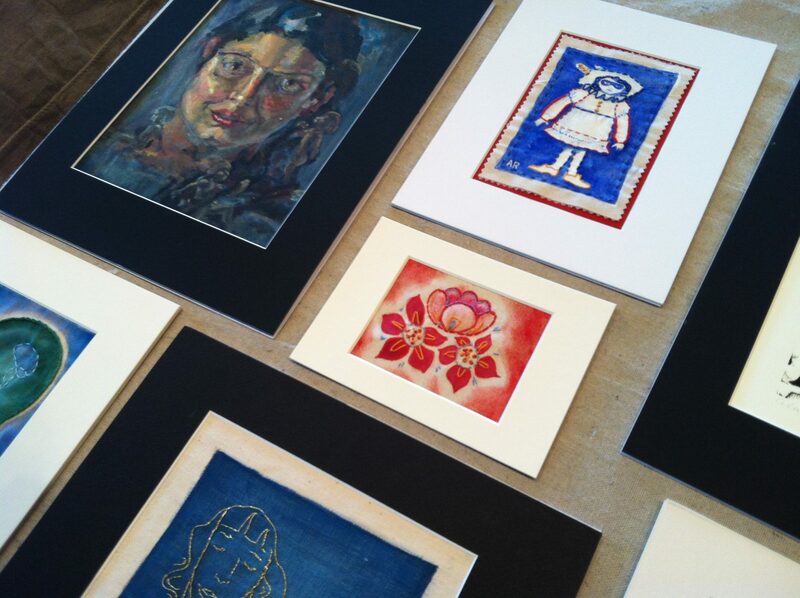 A great collection of work by Alana Roecker will be for sale!